A few weeks back myself and the hubby went to St Fagans museum to try out Traces (Olion in Welsh). It’s an app you download onto your phone, and then listen to as you go through the castle part of the site. You can listen solo or with a partner and we opted for the partner version. So both with a phone and a pair of headphones we pressed start together and listened as we were told a story and directed around the site at first together, then separated only to find each other again around a corner, and then go for a little solitary journey before being brought back together rinse and repeat. The entire experience took about 40 minutes and by the end we were both smiling from ear to ear….I was also crying and blubbering like the giant sap I am at parts! It was a really beautiful way to spend some time, and entirely free so win win! 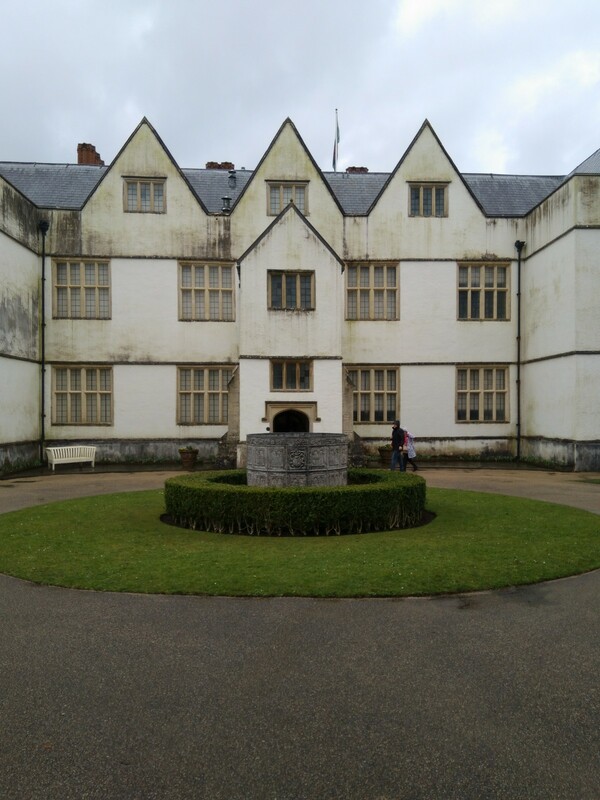 Not all parts were accessible for wheelchairs etc although I’m told the solo version is better in that regard, and the app is pretty huge and connectivity at St Fagans isn’t great, so download it before you go! I’m looking forward to going again and swapping rolls, and at some stage doing the solo one too. I’m also curious to listen with someone other then the hubby, I think the experience would be very different with a different person. It was also a pretty dull day when we did it so I think different weather or even season could change it quite a bit. So if you’re looking for something to do, I completely recommend Traces, just download it before you get there! Next post: What do you want in a new website?